Ideal for users across the fitness spectrum, the Versaclimber LX offers a complete top to toe workout that surpasses most cardio units, such as treadmills and bikes. It’s one of our best selling models and has the advantage of not taking up much floor space. Why limit yourself to a part workout? 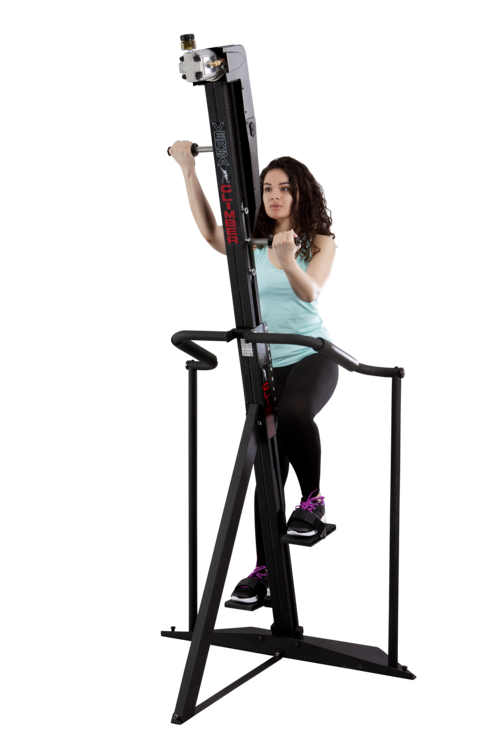 The Versaclimber LX offers a versatile step and arm height of 1 to 20 inches. Great for short steps of 4-6”, speed sprinting as fast as you can with no top end limitations, full body stretching, and users with short, medium, and long strides. With 20” step you can perform a multitude of exercise routines. Resistance can be altered on the LX up to 227kg, so that the machine can play an integral role in the health and fitness regime of almost everyone, regardless of age, weight, height or level of fitness. Comprising a simple numeric console, the LX has 16 variable programmes including race mode, standard mode and a calorie burner. 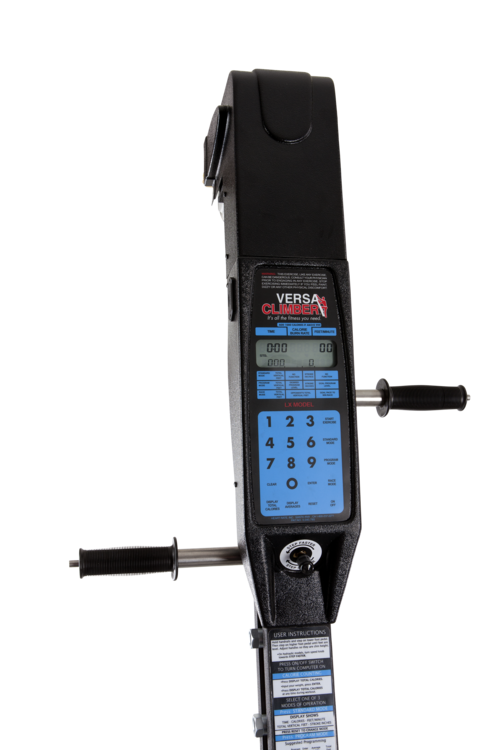 Versaclimber has remained a trusted name in fitness for 35 years and the number one leader in total body, vertical training. With its unique arm and leg pushing and pulling action, studies prove that moving your arms above your heart and over your head creates better circulation and longer lasting cardio results.